Sprint Moving Service is a division of Sprint Delivery Service Inc. and all terms and conditions herein are applicable for both companies. Unless otherwise modified by the terms and conditions of particular information Communication Service Sprint Delivery Service Inc/ Sprint Moving Service, the following terms & conditions of carriage (“General Terms & Conditions”) shall govern the shipment of all Sprint Delivery Service Inc. services, and shall constitute a binding agreement between Sprint Delivery Service and the shipper, the consignee and any other person who may have an interest in the shipment. The general Terms & Conditions also protect anyone with whom Sprint Delivery Service may contract to transport or deliver the shipment. You can asked to review all these Terms & Conditions at any time before and during your use of service with Sprint Delivery Service Inc.
3. Rate Application Subject to any discounts that Sprint Delivery Service is offering, the shipper agrees to pay the applicable shipping rates in effect at the time that the shipment originates. Sprint Delivery Service reserves the right to amend its rate schedule at any time or from time to time upon notice to its customers. 4. Applicable Law. These terms and conditions as well as any terms and conditions applicable to Sprint Delivery Service services, shall be deemed to include and be governed by applicable provincial laws, including, in the case of ground shipments legislation and regulations of such jurisdiction. Postal Code Correction - Where the waybill is missing or includes an incomplete or incorrect postal code, which is corrected by Sprint Delivery Service Please refer to Sprint Delivery Service’s current schedule of Additional Charges for more information. Sprint Delivery Service reserves the right to amend, replace or alter the Additional Charges at any time upon notice to the customer. 6. Billing and Account Information. Unless otherwise specified by the terms and conditions of carriage governed by the services that Sprint delivery Service offers, and subject to Sprint’s right to refuse to grant credit to any person, shipments may be charged to the shipper or “Bill To” account of record. Charges will be applied at the time the shipment originates, subject to additional charges, fees and taxes as stated below. In addition Sprint Delivery Service will be billing customers every 15 days and providing invoices to them, there are a few different options when paying; you can pay by cheque, money order, money transfer and by credit card. When setting up your business account we require as much information as possible for your business such as; full address (city, province, postal code, suite number if applicable), telephone number, fax number (if you have one) and your business credit card number (if this will be your method of payment). 7. Lien. Sprint Delivery Service shall have a lien on any shipment for all fees, charges and taxes of any kind that may arise out of or in connection with the delivery or transportation of the shipment and we may refuse to deal with any claim or surrender possession of the shipment until such amounts are paid. 8. Sales Taxes. The party being billed shall be liable for and shall pay Sprint Delivery Service all and any goods and services tax, or any similar or otherwise applicable taxes imposed with respect to the services provided (“taxes”), as well as any possible surcharges related to any shipment tendered to Sprint Delivery Service Inc.
9. Payment. Each invoice shall be paid in full when due. Accounts overdue by more than 20 days will be subject to a fee of 5%. Additional fees will be charged for any cheque or electronic transfer that is dishonored for any reason. These amounts are in addition to any other legal rights and remedies available to Sprint Delivery Service Inc.
10. Proof of Delivery. When requested, Sprint Delivery Service will provide proof of delivery via e-mail or by phone at no charge. If written conformation is needed of delivery, it is available at additional charges. 11. Delivery. Shipments will be delivered to the consignee’s address as set out on the waybill, but not necessarily to the named consignee personally. 12. Extended Liability. Extended Liability coverage is available for certain services that Sprint Delivery Service offers at additional charges. 13. Delay. Sprint Delivery Service does not guarantee its delivery times, and shall not be held liable for any loss or damages suffered as a result of failure to deliver a shipment by a stipulated time of day, even if it is aware of such consequences when the shipment originates. This goes for any and all of the services that Sprint Delivery Service offers. 14. Undelivered Goods. If, through no fault of Sprint Delivery Service the shipment cannot be delivered, Sprint Delivery Service can and will if not contacted return the shipment to the shipper at the expense of the party being charged. 15. Exceptions from Liability. Sprint Delivery Service shall not be liable for any damage, delay or loss due to any circumstances beyond its control, including, without limitation, acts of God, strikes or other labour disputes, public authorities acting with actual or apparent authority, civil commotion, riots, and disruption on the ground transportation network, an act or default of the shipper, owner or consignee, a defect or inherent vice in the goods being shipped, or any similar event, circumstances, act or default. 17. Maximum Liability. Except as otherwise specifically provided below or unless governed by convention, it is agreed as a special agreement with respect to all shipments, and not with standing any disclosure of the amount of any loss or damage, or the nature or value of the goods being shipped, including, without limitation, consequential, incidental or indirect damages, including loss of earnings or profits, resulting in any manner, whether or not from negligence or gross negligence, from loss of or damages to the goods and/or misdelivery, failure to deliver or delay in delivery of the goods being shipped, for which Sprint delivery Service shall be liable to the shipper, owner, consignee, and any third party, whether in contract, tort or otherwise, shall be the greater of ( 1 ) The value of the goods being shipped at the place and time the shipment is made, up to CDN $100.00, and ( 2 ) CDN $.65 per pound or $1.43 per kilogram, computed on the total weight of the shipment or the total weight of any damaged product, being the Maximum liability not exceeding CDN $100 per item or $1000.00 for a full shipment. Additional coverage in excess of $1000.00 may be arranged but must be authorized in writing by the carrier, being the maximum liability of Sprint Delivery Service set out herein. 18. Account Number. All waybills require a valid Sprint Delivery Service Account Number. A shipment may be delayed or returned if Sprint Delivery Service determines that the account number on the waybill is incorrect or if the account is not in good standing. 19. Weight Limitations. Sprint Delivery Service will not except any package that is excess of 25 kilograms unless otherwise specifically agreed by Sprint Delivery Service. Sprint Delivery Service charges according to actual weight of shipment and reserves the right to reweigh the shipment. The shipper acknowledges that any variance between the shipments’s declared weight and actual weight as determined by Sprint Delivery Service will result in an adjustment to the rate charged and the party to be billed agrees to pay the same. All weights shall be referenced in grams or kilograms and Pounds. 20. Holidays. No shipment will be accepted or delivered on any day that is a Saturday, Sunday or statutory holiday in the jurisdiction where such shipments is to be accepted or delivered, unless otherwise agreed upon by Sprint Delivery Service and Shipper at different rates also agreed upon by Sprint Delivery Service and Shipper. 21. Accuracy of Information. The shipper is responsible for making sure that the information provided is correct on the waybill such as; number of pieces, account number, weight, type of service, consignee’s address. Sprint Delivery Service may correct errors and additional charges may apply. 22. Packaging. Any shipment being sent through Sprint Delivery Service must be packaged correctly with not defect to the package and must be properly sealed and secured without using string or rope on the exterior of the package. The contents of the shipment must be held firmly in place by the interior packaging system, which will protect the contents from normal external forces such as the pressure made from stacking other shipments on top of it. Sprint delivery Service reserves the right to refuse any package that we deem to be in appropriately packaged and/or will not with stand standard handling and transportation conditions (We cannot be held liable for any product that is not packaged by a staff member of Sprint delivery Service or Sprint Moving Service). This will ensure that the packages will arrive without damage to the destination set out on the waybills for the protection of you, our customer. 23. Shipping Restrictions. Sprint Delivery Service does not provide service to post office boxes, or rural routes unless agreed upon by Sprint Delivery Service and the customer and we absolutely do not provide temperature - controlled courier services. 24. Proper Labeling. Shipments must display a proper Sprint Delivery Service Waybill and must be correctly completed. Any previous delivery labels must be removed, improper labeling may result in the delivery being delayed or lost. A shipment that consists of more than one package or piece on a waybill number must have each package or piece individually numbered (e.g., marked as being “1 of 2”, “2 of 2”) and display its full delivery address and waybill number where applicable. Any shipment containing fragile or liquid items must include an orientation “up” arrow located on all sides of package. In addition, packages that contain glass or breakable material must be labeled “FRAGILE” those that contain liquid must be labeled “SPILABLE”. These items unless packaged by a member of Sprint Delivery Service Inc. cannot be insured through us or our insurance company, even if the “spilable” package brakes and damage other items. 25. At Shipper’s Risk. The items listed below are not well suited for Sprint Delivery Service’s distribution and are subject to a high risk of damage. For these reasons, these shipments will be accepted for carriage only at the shipper’s risk and Sprint Delivery Service shall not be held liable to any person and will not accept any claims for any loss damages that may be sustained due to the loss, delay or damage in the shipment of such items. For greater certainty, these shipments will not be covered by any extended liability coverage regardless of whether such coverage is purchased. Household goods (i.e., privately packaged personal items). Liquids. Glass, ceramics or other fragile items. Confectionery products, including potato chips, chocolate, pastries or other baked goods. Items longer than 3 metres for any shipment. Any items that is a prohibited shipment, but which is tendered to Sprint Delivery Service and accepted for carriage. 26. Right of Inspection. Sprint Delivery Service reserves the right to open and inspect any shipment tendered to it at any time without cause or notice. 27. Refusal of Packages. 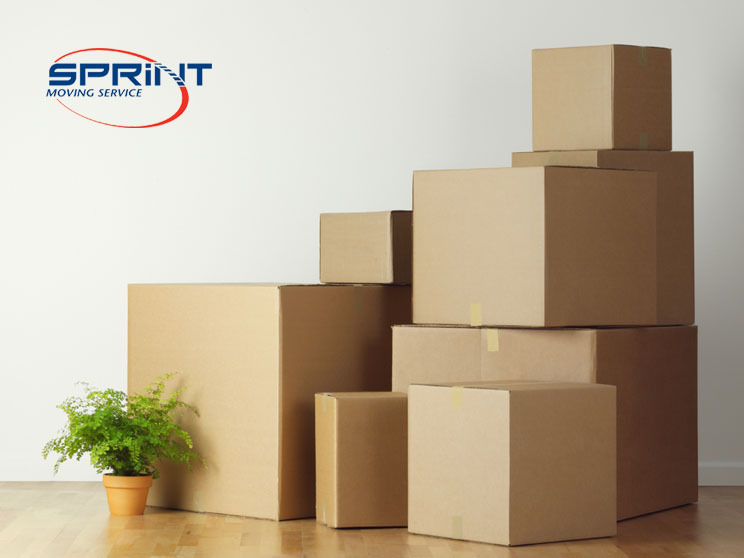 Sprint Delivery Service reserves the right, in our sole discretion, to refuse any package that, due to the nature or character of its contents, may soil, taint, or otherwise damage other shipments, or which is economically or operationally impractical to transport. 28. Alternate Modes of Transportation. 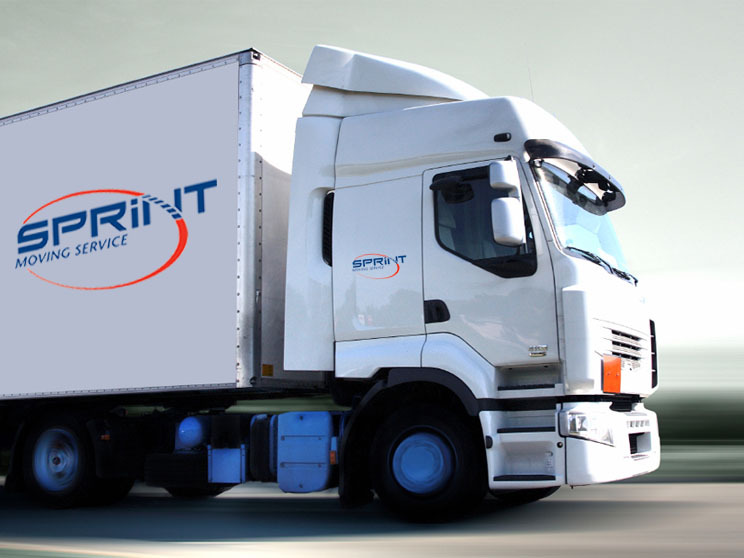 Sprint Delivery Service reserves the right to substitute alternate modes of transportation or routes from those selected by the shipper or used by Sprint Delivery Service for previous shipments. Any exercise by Sprint Delivery Service of these rights shall in no way affect the maximum liability of Sprint Delivery Service as indicated in these general terms. 29. Waiver. Any delay or failure by Sprint Delivery Service in enforcing or applying any provisions of these general terms and conditions shall not constitute a waiver of that provision or otherwise impair Sprint Delivery Service’s right to enforce or apply such provision or any other provision in the future. 30. Currency. All rates are quoted in Canadian dollars, and all payments shall be made in Canadian funds. 31. Use of Agents or Other Carriers. Sprint Delivery Service reserves the right to use the service of agents or any other carriers for the purpose of completing the delivery of any shipment. These agents or other carriers may, in turn, engage the service of other carriers or person to complete such deliveries. Any exercise by Sprint Delivery Service or its agents or other carriers of this right shall in no way affect the maximum liability of Sprint Delivery Service as indicated in these general terms and conditions. Which can be accessed at www.sprintmoving.ca (such posting to constitute “notice” for the purpose of the general terms and conditions and otherwise). All such amendments shall be effective the latter of 15 days following the posting of such notice or such later date as Sprint Delivery Service may determine. The Consignee, Shipper and any other person who may have interest in any shipment shall be bound by the relevant terms and schedules in place at the time that the shipment originates. Nothing herein shall be interpreted to mean that any representative, servant, or agent of Sprint Delivery Service has the authority to modify, waive or alter any applicable terms or conditions or schedules. 33. Severability. If for any reason that any provision of these terms and conditions are found to be invalid by any authority with proper jurisdiction, that provision shall be deemed to have been severed from these terms and conditions. The remaining terms and conditions will continue to be in full force and effect. 34. The Canada Post Corporation Act (Canada). Canada Post requires that any courier charges at least 3 times the regular rate of postage, payable for delivery in Canada of similar addressed letters weighing 50 grams for each pickup. The shipper is responsible for ensuring that this condition is met. 35. Sprint Delivery Service Distribution Services. In the event that Sprint Delivery Service does not make the delivery time’s set with any of the service that we offer, the shipper shall have 15 business days from the date that the order was placed to request a credit. The shipper must have and provide to Sprint Delivery Service the waybill number for the shipment in question as well as any other applicable information. Sprint Delivery Service will have 30 business days from the date we receive the credit request to determine whether a credit will be issued. Credits will not exceed the cost of the original shipping charges, exclusive of taxes. The foregoing shall be the aggregate and exclusive remedy of the consignee, shipper and any other person who may have interest in the shipment against Sprint Delivery Service and its agents. 36. Attempted Delivery. If the consignee is not available to receive the shipment, Sprint Delivery Service will leave a sticky note at the consignee’s place of business communicating Sprint Delivery Service’s unsuccessful attempt of delivery. The consignee will then be required to contact Sprint to arrange for another delivery attempt, at which time an automatic surcharge of $5.00 will be applied to the account or the “Bill to” account of record. If for any reason the second attempt is also unsuccessful, than Sprint Delivery Service will automatically send the shipment back to the shipper at no additional cost. 37. Same day Deliveries. These are the option of service and conditions relating to the services of Sprint Delivery Service Inc. Sprinted delivery; Must be called in before 4:30pm, we will deliver a half an hour from the time of call but must be within a 4 kilometer radius. In – town direct drive; Must be called in before 4:30pm, we pick up and deliver immediately and we bill a flat rate the price includes up to 4 pieces and up to 50 pounds then you pay $0.65 per piece and $0.02 per pound thereafter. Out of – town direct drive; Must be called in at reasonable time for driver to be done before 5:00pm or price will fluctuate accordingly, we bill on a per kilometer basis. Express delivery; Must be called in before 4:00pm, we pick up and deliver within one hour from time of call. Rush delivery; Must be called in before 2:00pm, we pick up and deliver 3 hours from time of call. Same day delivery; Must be called in before 11:00am, we pick up and deliver before 5:00pm. 38. Next Day Delivery. These are the options that Sprint Delivery Service’s offers for next day deliveries. In – town next day delivery we offer two options; deliver by 9:00am the next day and the standard next day is to be delivered before 5:00pm. Out of Town next day delivery is delivered before 5:00pm the next day.